I asked and Joey Purp delivered! 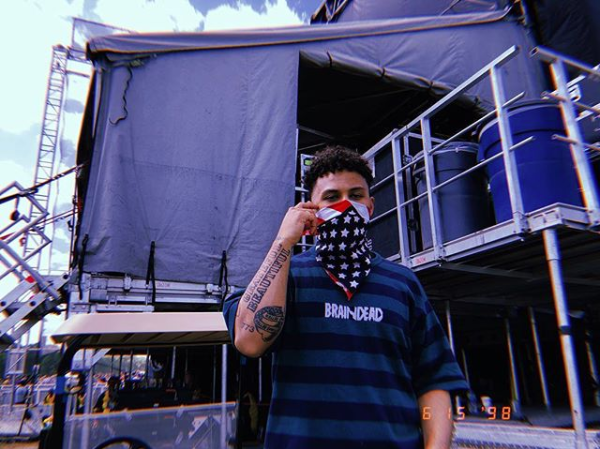 This is a much quicker rollout than I ever even imagine as Joey Purp is set to drop his new album Quarterthing THIS WEEK on September 7th. He also revealed the tracklist today which is pretty damn impressive. He pulled together such a unique cast as he’s got both the RZA and GZA featured on separate songs as well as features from Ravyn Lenae and Cdot Honcho. In addition to that, the production credits are also thick as DJ Khalil, Nez & Rio, Knox Fortune, Smoko Ono, Thelonious Martin and more handle the load. Peep the full tracklisting below. Oh and I didn’t even get to mention yet that there’s a brand new single from Joey Purp out today as well. Peep that new Nez & Rio produced single below. It’s got a dance vibe, similar to ‘Girls @” off his last album. Give that a listen below.